A blog about living more safely in the fire-prone regions of the South West by reducing risk from wildfire in the areas around the house through careful plant selection, maintenance, use of moisture and spacing. 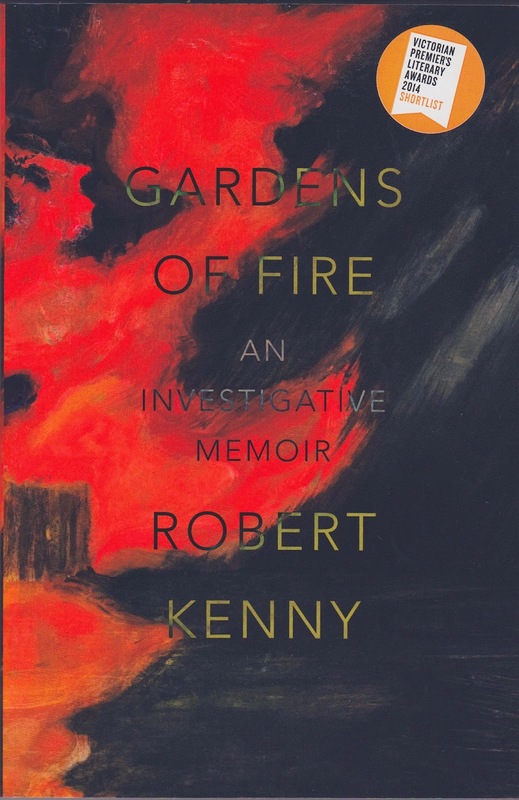 Several months ago I read the book, "Gardens of Fire" by Robert Kenny who lived through and survived the Victorian bushfires of 2009. Unfortunately, his house, though he tried to save it, was burnt to the ground. Robert is an academic and historian who wrote a memoir of this event and its aftermath. A good read, although rather unsettling, it provides very good reasons why it is a terrible thing for anyone to have their house destroyed. It forms a powerful motivating tool to encourage all those of us who live or holiday in fire-prone areas of Australia - and other countries with similar wildfire problems - to do everything we can to reduce the risk of bushfire attack on our homes and communities. I am finding that the more I learn, the more there is to learn. This book is a good start. 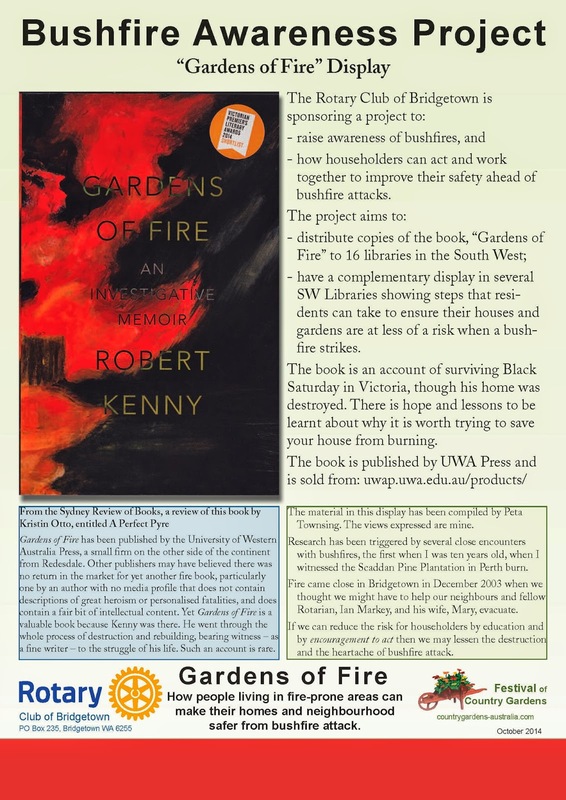 From the reading of the book came the project to build Bushfire Awareness which was supported by the Rotary Club of Bridgetown in South West, Western Australia. A display was created which steps through the main points of living more safely in bushfire areas, often known as the Rural Urban Interface or RUI. The book has now been distributed to 16 libraries in the Perth Hills and South West. The display was set up in Bridgetown, Balingup, Donnybrook, Bunbury and Manjimup Libraries. A copy of the display is now at Blackwood Rural Services in Bridgetown.